Probiotics are live microorganisms (e.g., bacteria) that are either the same as or similar to microorganisms found naturally in the human gut. Ask the Pharmacist if Probiotics supplements are right for you! Lysine is an essential amino acid, one of 20 building blocks that are used to make proteins. Unlike some other amino acids, your body cannot synthesize lysine. Thus, lysine must be supplied by the diet. Dietary sources of lysine include meat, fish, dairy, eggs, and some plants, such as soy and other legumes. Most vegetables and grains contain relatively little lysine. Most people have adequate lysine intake. Ask the Pharmacist if L-Lysine supplements are right for you! Ask the Pharmacist if Melatonin supplements are right for you! Your body synthesizes melatonin in the brain, which is a signal for rest and helps maintain your “body clock.” During hours when your eyes are exposed to light, melatonin production is suppressed, while darkness causes the body to increase melatonin production. Melatonin is not needed in the diet, but can be beneficial for individuals suffering with shift work disorder, insomnia, jet lag, or delayed sleep phase disorder. Glucosamine & chondroitin are structural components of cartilage, the tissue that cushions the joints. Researchers have studied the effects of these supplements, individually or in combination, on osteoarthritis. Osteoarthritis, also called degenerative joint disease, is caused by the breakdown of cartilage, which is the connective tissue that cushions the ends of bones within the joint. Glucosamine/Chondroitin may provide some pain relief in moderate-severe osteoarthritis. Ask the Pharmacist if Glucosamine/Chondroitin supplements are right for you! Multivitamin/mineral (MVM) supplements contain a combination of vitamins and minerals, and sometimes other ingredients as well. The vitamins and minerals in MVMs have unique roles in the body. Taking an MVM increases nutrient intakes and helps people get the recommended amounts of vitamins/minerals when they don’t meet these needs from food alone. However, taking an MVM can also raise the chances of getting too much of some nutrients, especially when a person uses more than a basic, once-daily product. Ask the Pharmacist if Multivitamin supplements are right for you! Coenzyme Q10 (CoQ10) is an antioxidant that is necessary for cells to function properly. Cells use CoQ10 to make the energy they need to grow and stay healthy. CoQ10 can be found, in highest amounts, in the heart, liver, kidneys, and pancreas. Levels of CoQ10 decrease as you age. Smoking also depletes CoQ10 from the body. Certain medications (such as Statins) and people with cancer and certain genetic disorders, diabetes, heart conditions, HIV/Aids, muscular dystrophy and Parkinson’s may have lower levels of CoQ10 as well. Ask the Pharmacist if CoQ10 supplements are right for you! Why Calcium & Vitamin D? The body needs calcium & vitamin D to maintain strong bones. Additionally, calcium is used to help blood vessels contract & expand throughout the body and helps release hormones and enzymes that affect almost every function in the human body. Vitamin D is responsible for helping the body absorb calcium from food and supplements. Together with calcium, vitamin D also helps protect older adults from osteoporosis. Calcium may also play a role in heart health, blood pressure control, weight loss and may lower cancer risk. Ask the Pharmacist if Calcium and Vitamin D supplements are right for you! Researchers with the Age-Related Eye Disease Study (AREDS) reported in 2001 that a nutritional supplement called the AREDS formulation can reduce the risk of developing advanced age-related macular degeneration. People at high risk for developing advanced AMD should consider taking the antioxidant-zinc combinations examined in AREDS and AREDS2. There is no known treatment that can prevent the early stages of AMD. However, the AREDS formulations may delay progression of advanced AMD and help you keep your vision longer if you have intermediate AMD, or advanced AMD in one eye. B1, B2, B3, B5, B6, B12 & Folic Acid all have different health benefits. Some of these vitamins help give you energy, growth and development, brain development in pregnancy and many other health benefits. The vitamin B complex consists of related water-soluble substances. Although these vitamins are chemically distinct, they are grouped together because they are found with one another in the same foods. Since they are water-soluble, most are not stored for any length of time, and must be replenished daily. Our body uses iron to make hemoglobin, a protein in red blood cells that carries oxygen from the lungs to all parts of the body, and myoglobin, a protein that provides oxygen to muscles. 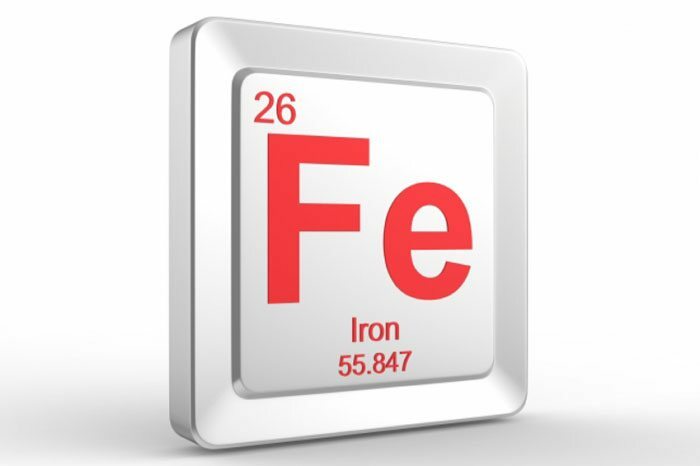 In the short term, getting too little iron does not cause obvious symptoms. Symptoms of iron deficiency anemia include tiredness and lack of energy, GI upset, poor memory and concentration, and less ability to fight off germs and infections or to control body temperature. Infants and children with iron deficiency anemia might develop learning difficulties. Tell your doctor, pharmacist, & other health care providers about any dietary supplements & medicines you take. 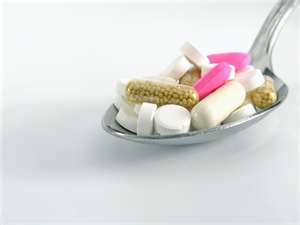 They can tell you if those supplements might interact or interfere with your prescription or over-the-counter medicines. Why Fish Oil? Omega-3 fatty acids are a group of polyunsaturated fatty acids that are important for a number of functions in the body, including muscle activity, blood clotting, & digestion. Fish oils can lower blood triglyceride levels dependent on the dosage. Look for enteric-coated or delayed release form, or store in freezer to help reduce these side effects. The American Heart Association recommends those without coronary heart disease eat a variety of fish, preferably oily fish like salmon, 2 times per week. Defend against illness and infection with nature’s own immunity powerhouse, Wellmune WGP®, plus a myriad of other all-natural immunity enhancers with Scimune. Created specifically for the purpose of helping the body’s own defense systems, Scimune delivers a full-featured formula designed for results. Featuring Wellmune WGP® which is derived from a proprietary strain of yeast and which safely and naturally mobilizes billions of innate immune cells, Scimune helps contribute to year-round wellness. Scimune then amplifies the formula even further with Echinacea Extract, Astragalus Root, and ResverPure® to help support overall immune response and wellness.